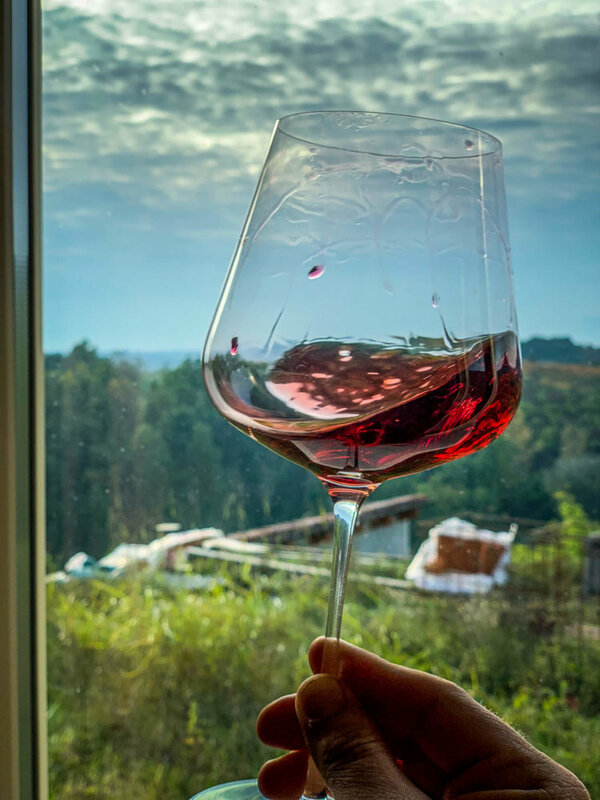 [PIEMONTE, ITALY] — Mid October is a busy season here in Barolo. Most of the grapes have already been picked, but because of recent rains there’s more to go. A couple of hot days of sun and we’re good to go. Laying down for a nap, I can hear gargling tractors drive by on the famous Via Ginestra, their rattling trailers rushing to the crushing. This is also the beginning of truffle season, here in the white truffle capital of the world, everyone securing their stash like drug dealers. It was a whirlwind four days in Piemonte in Northwestern Italy, snuggled right up against the Alps, France just over the hills. 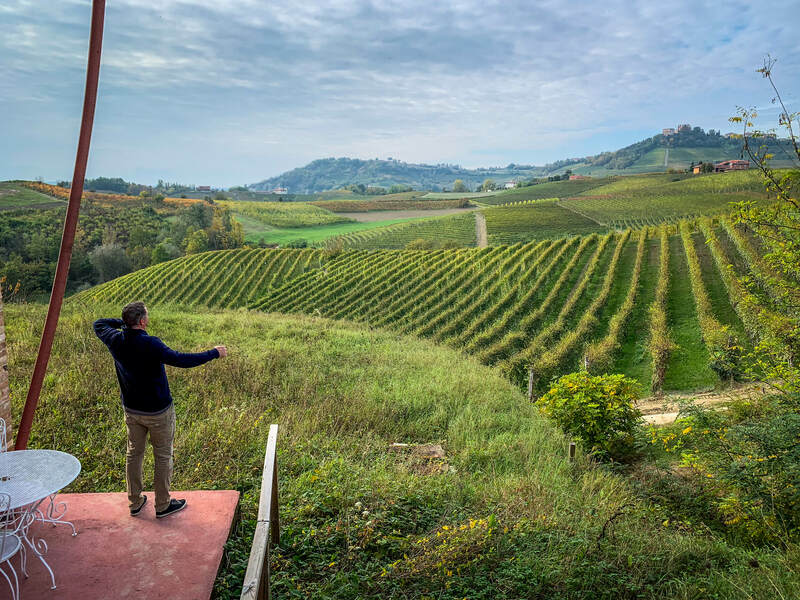 Those few days were crammed full of crisscrossing Monforte and the Langhe region, meeting winemakers, tasting a million wines that I don’t know about, eating at killer restaurants, harvesting a great friend’s first Barolo vintage and hanging with a a peck of new friends. I was guided by an American friend that owned land there, very rare, but his personality was so infectious that I think he could run for mayor. Everywhere we went we’d hear calls of “Ciaaao Jon!” and then hugs and air kisses. We scooted around from winery to winery, running errands, stopping by friends or having an aperitivo in town before heading to dinner. 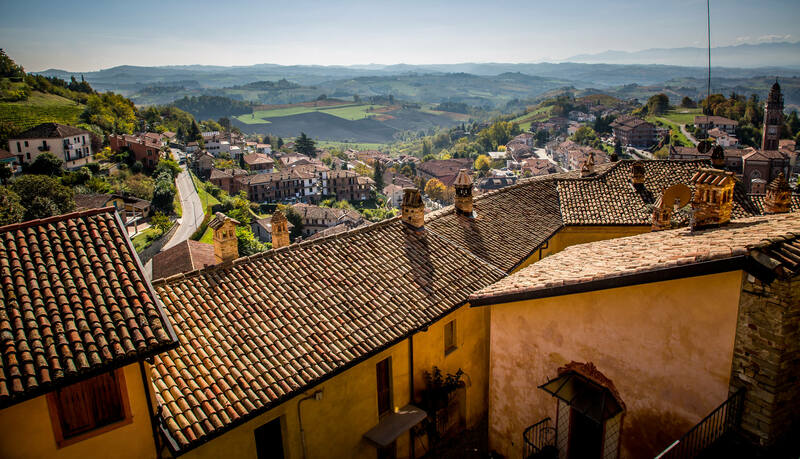 Monforte d’Alba is the perfect hilltop village to base your exploration of Barolo and Langhe wine region. Just an hour south of Turin, it’s an easy jump from the plane to the hills. White capped mountains peak out from the high humidity of the valley below, smiling on sunny days. 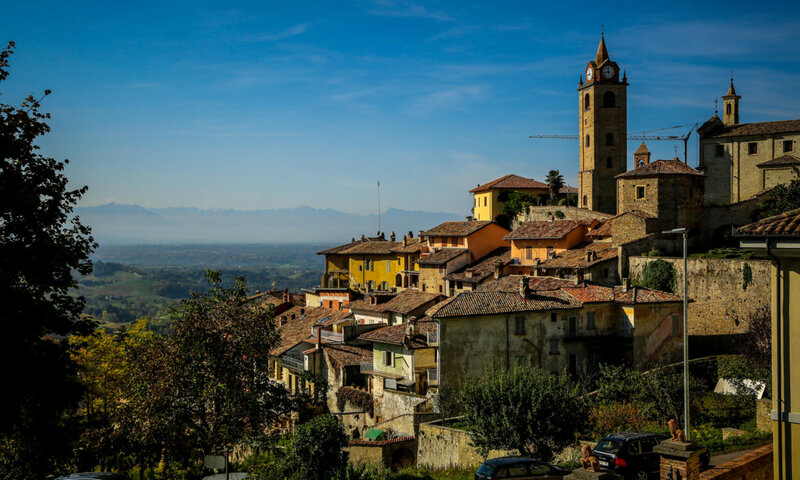 There are bigger towns and cities, but few match the character of Monforte. Grapes and truffles are the economy here, every acre planted to the gills with vines. Big tractors full of grapes ramble down the narrow roadways. Gawd this region is great, how have I never been here before? Vieni qui! There’s a lot of humidity that gets trapped in this beautiful vineyard valley, which creates a soft haze. But on clear days you can see the stunning Alps way off in the distance. Every corner has amazing. views of the vineyards in the valleys below. The main cathedral is just stunning. There is a stunning amphitheater at the top of the town, famous for its big draw of big names. There’s a famous jazz festival each summer. There are marked hiking paths that go from town to town. You can see groups of people strolling through the rolling hills, stopping for a long lunch along the way. The trail is clearly marked, leading you from town to town. Sitting in the main piazza of Monforte d’Alba, sipping a nice garnet colored Nebbiolo in the shade, watching the wine world go by. That’s about as good as it gets. 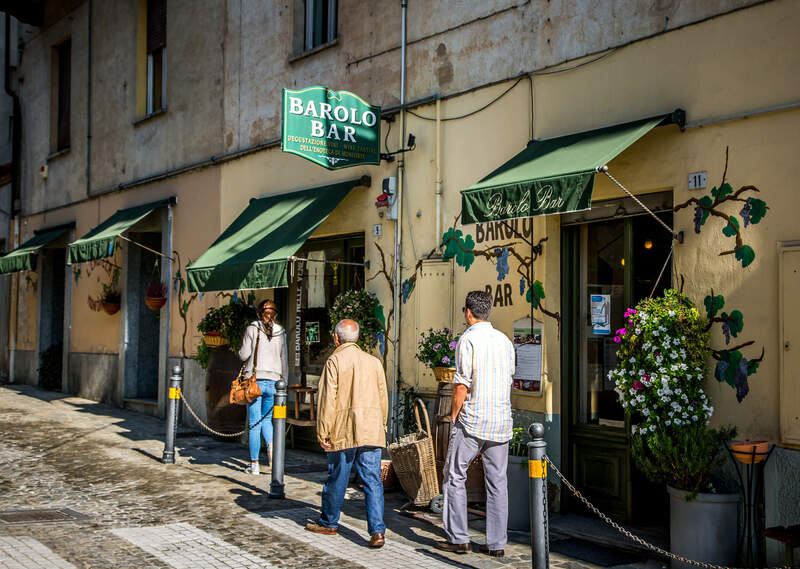 Grappolo d’Oro is the perfect place for a long lunch. Come say hi to Alberto and his twin brother, both a constant presence inside and outside, chatting up the town and guests. Come get the most perfect specimen of “plin” a regional pinch of pasta, topped with the treasured shaved white truffles. I was lucky to be there in peak truffle season. I think I had truffles with every meal. 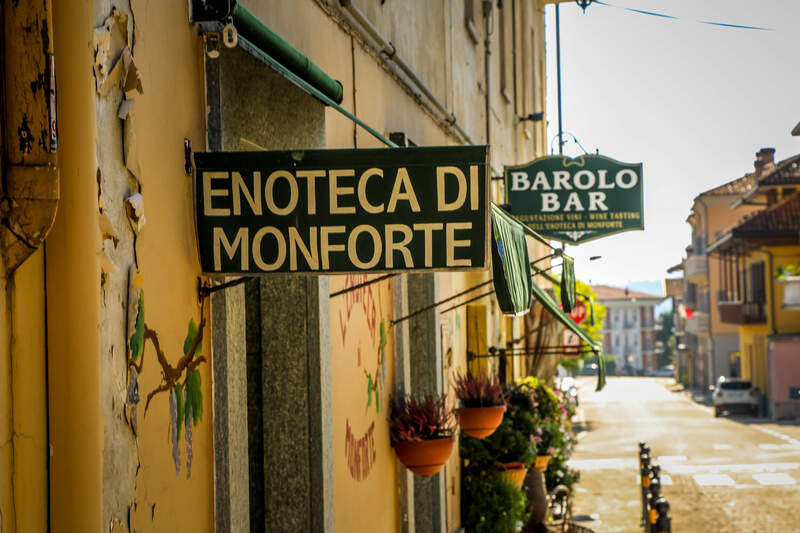 The Barolo Bar is the center of Monforte, seems like nearly everyone makes a stop there at some point of the day. 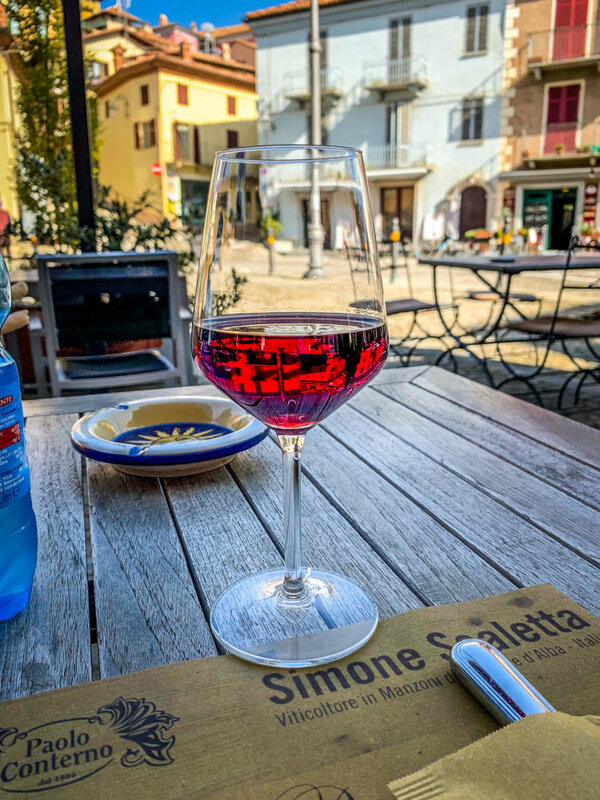 You can buy wine, taste wine, have an aperitivo and a light bite. 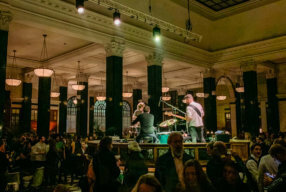 It’s the perfect Italian center-of-town bar. People stop in the catch up, gossip and just have fun. Incredibly fun fun meal at Le Case della Saracca with a bunch of new friends who treat me like family. This place rocks. Meat. Vino. Super super sweet peoples, mostly women. 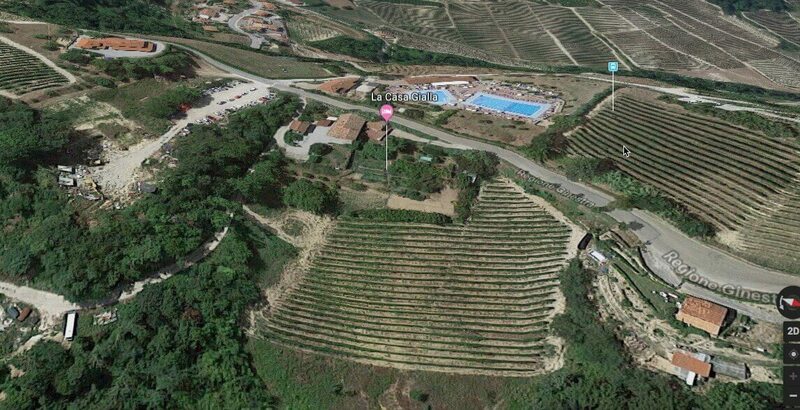 It’s carved out of this treasured hill, right in the middle of Monforte. 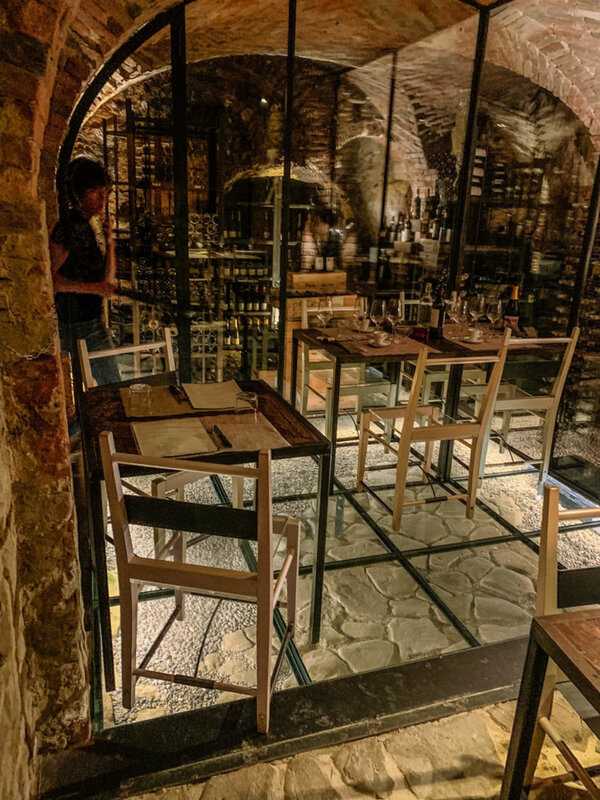 The ancient outsides bely the modern interior, with glass walls and floors and steps penetrating the many caverns inside, light illuminating the wine collection. This was my favorite meal of our trip, more the atmosphere and nice people than anything else. Right in the center of Monforte. Definitely eat here. At least once. 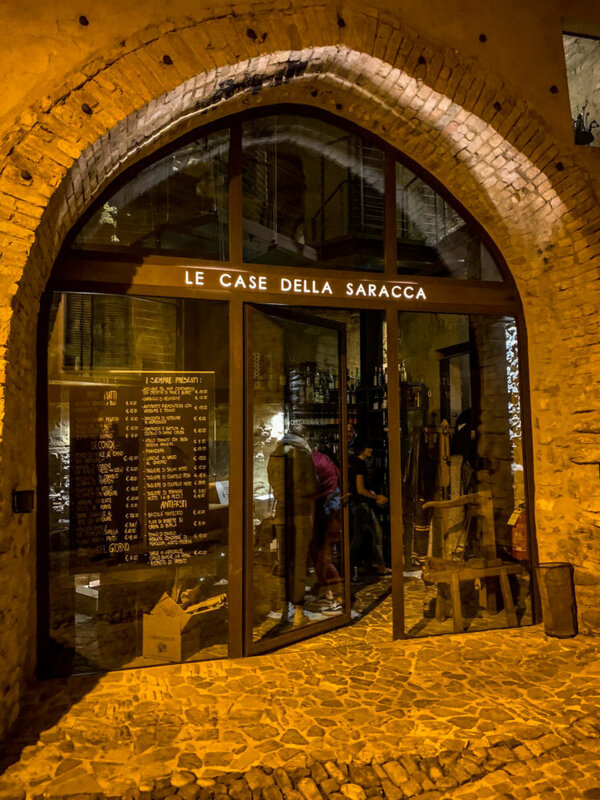 Le Case della Saracca has a crazy interior, with glass walls and floors that show the old walls of this dug out hillside. 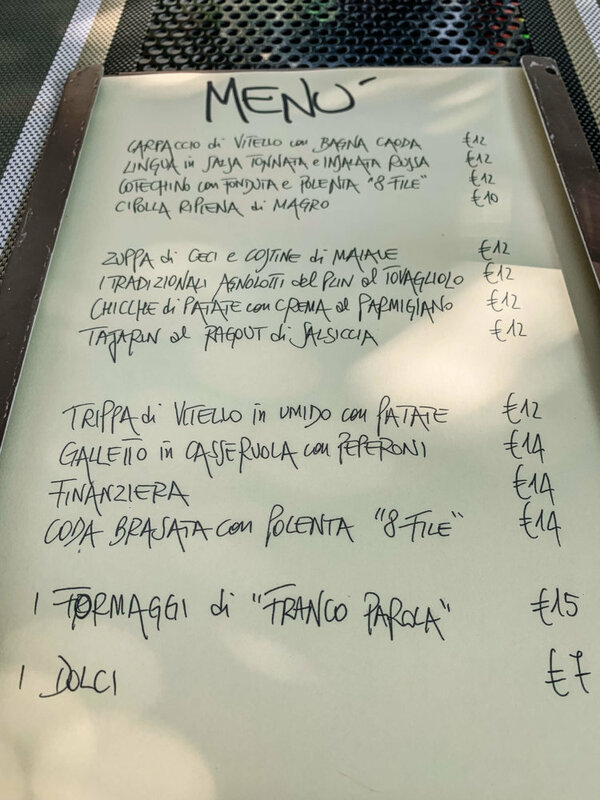 In a little hamlet straddling the hills outside of the town of Monforte there’s an unassuming little roadside restaurant, box bushes and astroturf the only thing separating your plate from the street. Repubblica di Perno served one of the best meals I had in Piemonte. Run by a husband and wife team — he cooks, she serves — eating there is like pulling up to a family table. I would like to buy this handwriting as a font. The menu is simple, but everything is off the charts amazing. 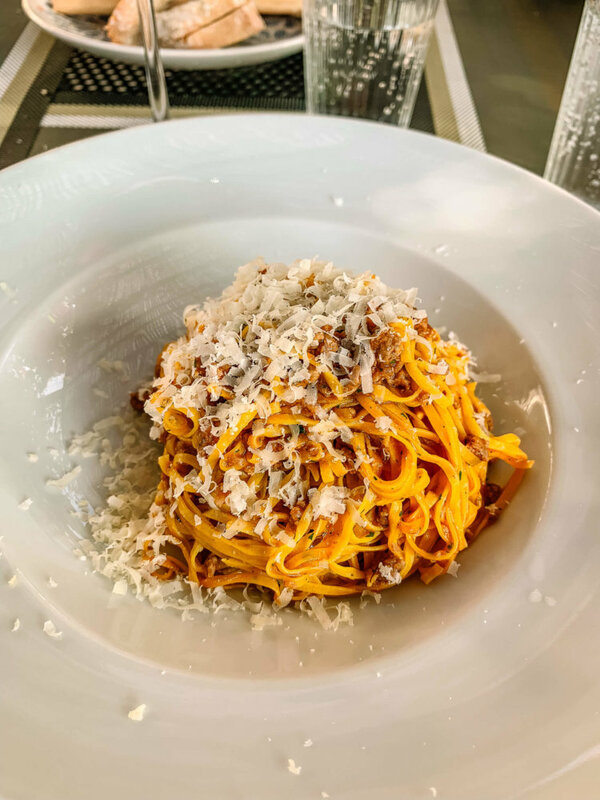 The perfect example of the regional Tajarun al Ragu di Salsiccia pasta with grated Parmesan that melted like tears. If you look online for this restaurant you’ll see a bunch of pictures exactly like this. At first, I though it was my pic, then I realize that it is just a perfectly executed dish each time. 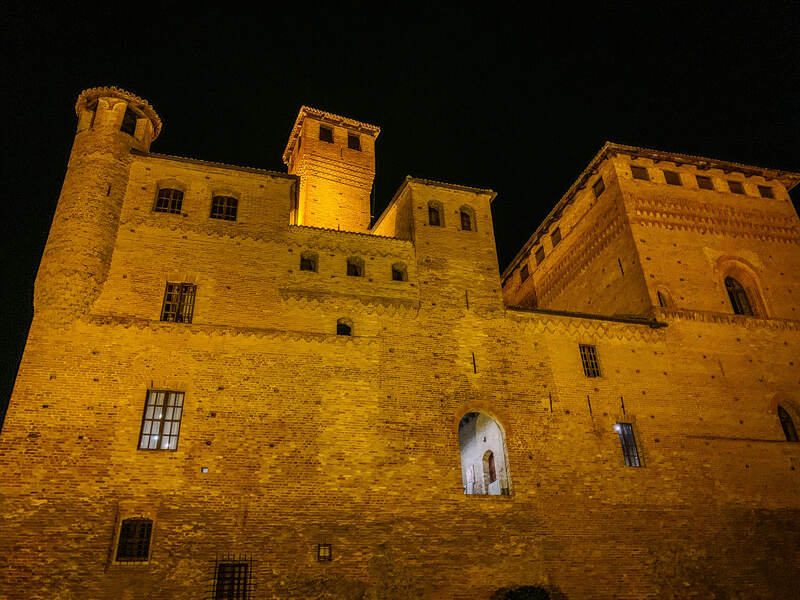 We had an incredible meal at the Michelin starred Marc Lanteri Restaurant at famous UNESCO World Heritage designated Castello di Grinzane Cavour. Such a cool place, the castle dating back to the 13th Century, then added on in the 15th and again in the 1850s. I feel achey like that. It’s insanely busy during truffle season but the delightful Amy — Chef Marc’s wife from Ouray Colorado — treated us like we were the only ones in the entire Castello. We talked hunting wild boars and bad bears and she proved to be an Olympic caliber bubblegum blower. Book in advance. Restaurant Marc Lanteri Al Castello is actually inside this ancient castle. 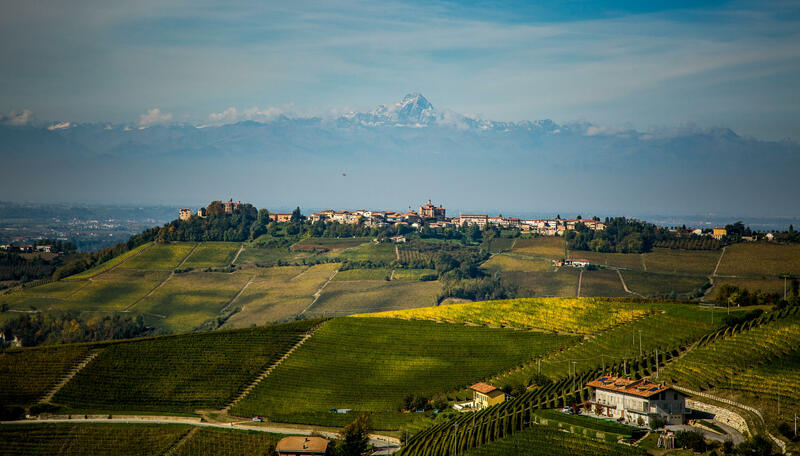 Just outside the town of Monforte are the various famed districts of Barolo. 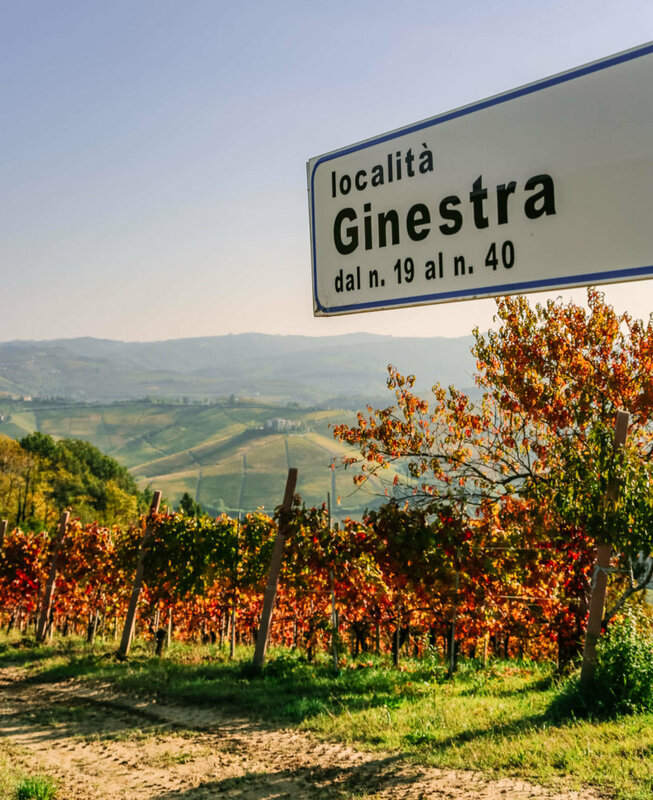 A “cru” designated along the Via Ginestra is considered one of the best. Just a stunning hike along the quiet roads that weave between the vineyards. 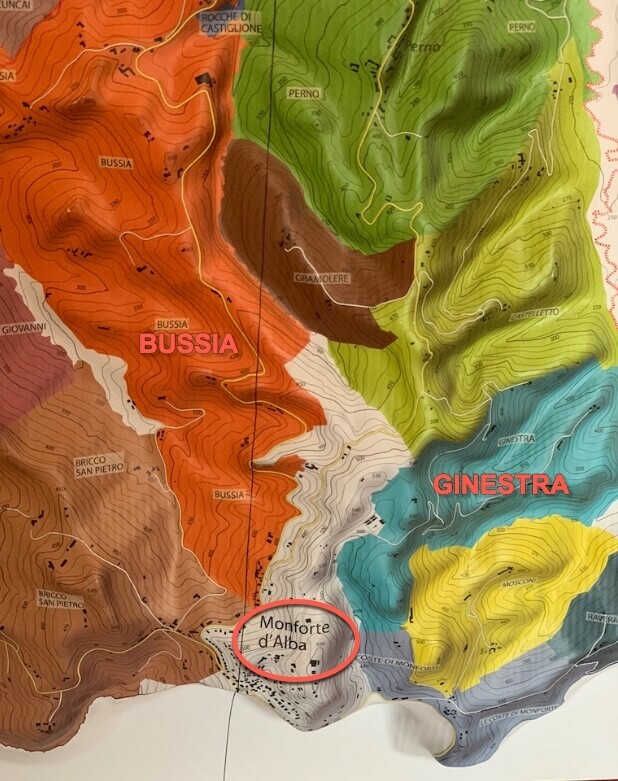 Each of these colors represent a different DOCG region of Barolo, called crus, each with its own characteristics of soil composition, hillsides, exposure to sun, etc. 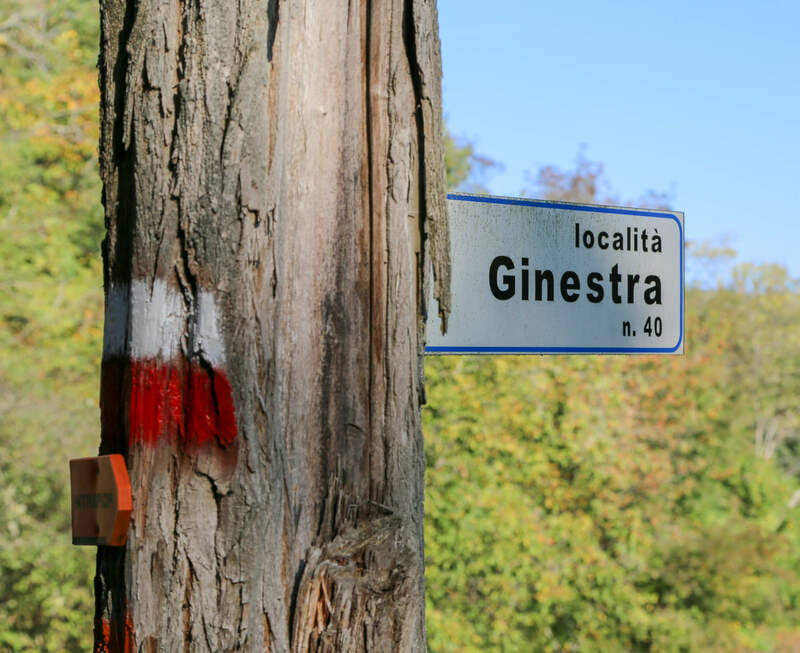 You can walk right out of the village of Monforte and even hike from village to village. 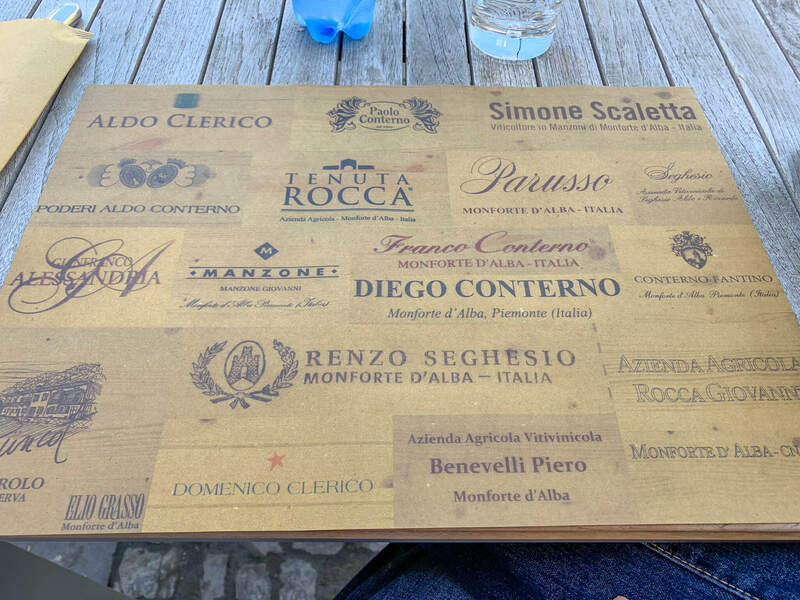 This cool placemat from Grappolo d’Oro has all the top Barolo producers on it. Use this as your guide. We visited the Simone Scaletta vineyard, met him and had some of his famous biodynamic wines. Incredibly nice and humble man. 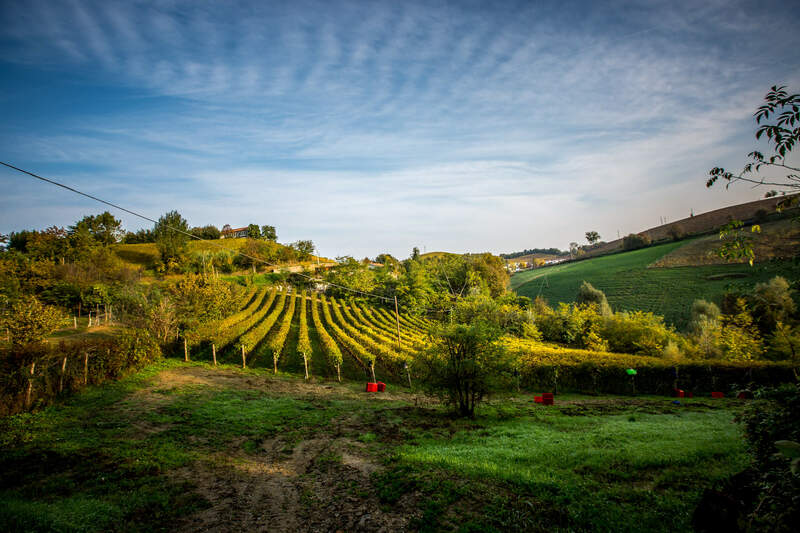 Simone Scaletta is one of the top Barolo winemakers in Località Manzoni five hectares of vineyards with a natural biodynamic approach, in full respect of the earth and its fruits. 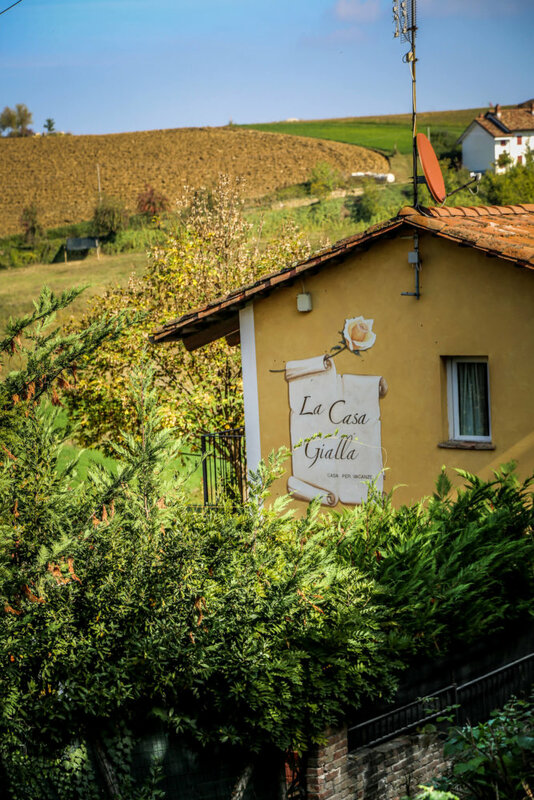 My friend Jon owns a cute little B&B called La Casa Gialla (The Yellow House) right off the famed Via Ginestra. It’s right outside of Monforte and within walking distance. Lovely to walk home after a big filling dinner. The compound has two buildings and several apartments you can rent, with their own kitchens and balconies. The whole place is run by the delightful Marghe and her husband Mario and beautiful (and funny) daughter Martina. They make you feel like you’re staying as a guest in their home. 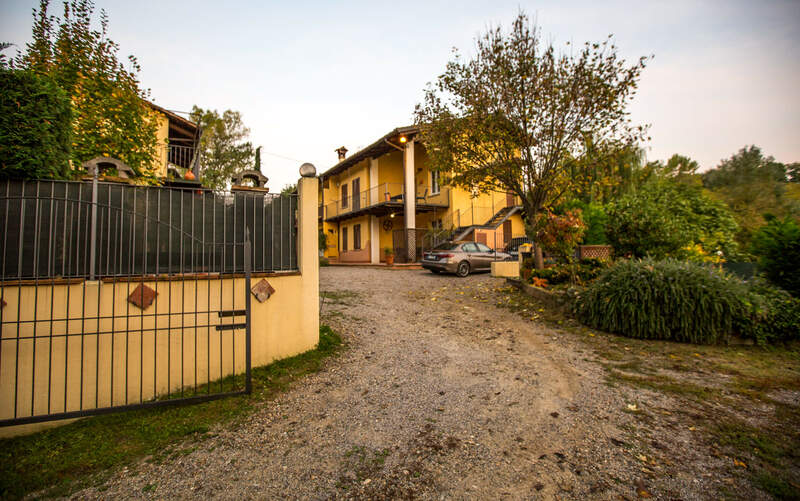 The compound is off a short, quiet road right off the Via Ginestra. The houses look over a quiet little hollow, with their own vineyard that Jon has been restoring over the last several years. 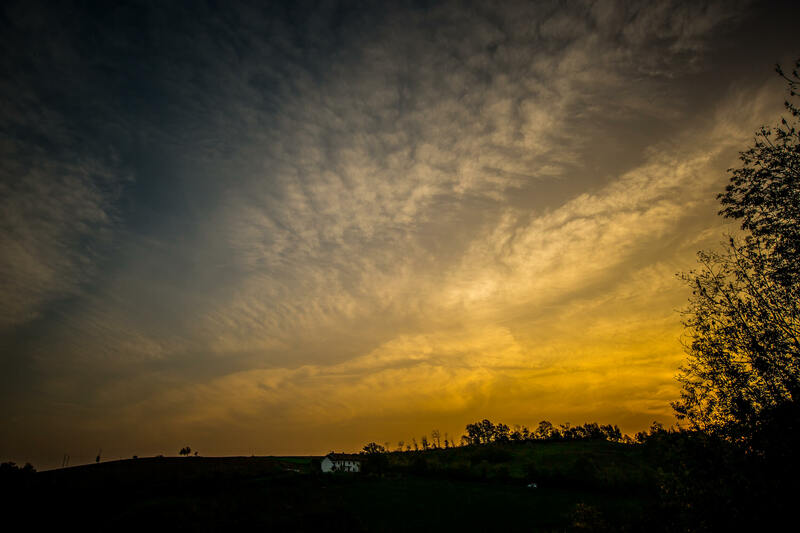 The main house has several apartments in it, with stunning sunrise views. There’s a nice side house with it’s own two story apartment in it. Loved staying here. If you’re lucky, you can eat at one of the best restaurants in town — Marghe’s kitchen. She and Mario put on a great spread and Mario will share some Sardinian sausages and digestifs. Jon has been restoring these vines for the last several years after buying the property, bringing them back to life and creating one of the few biodynamic wines in the area. You can see how cool this little patch of East-facing vines are. Note the difference in how they’ve really restored these vines and turned them into something special. 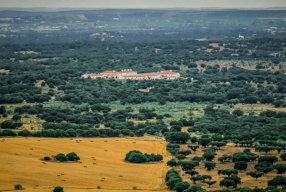 Here’s Expedia’s list of the 1o Best Hotels in Monforte. 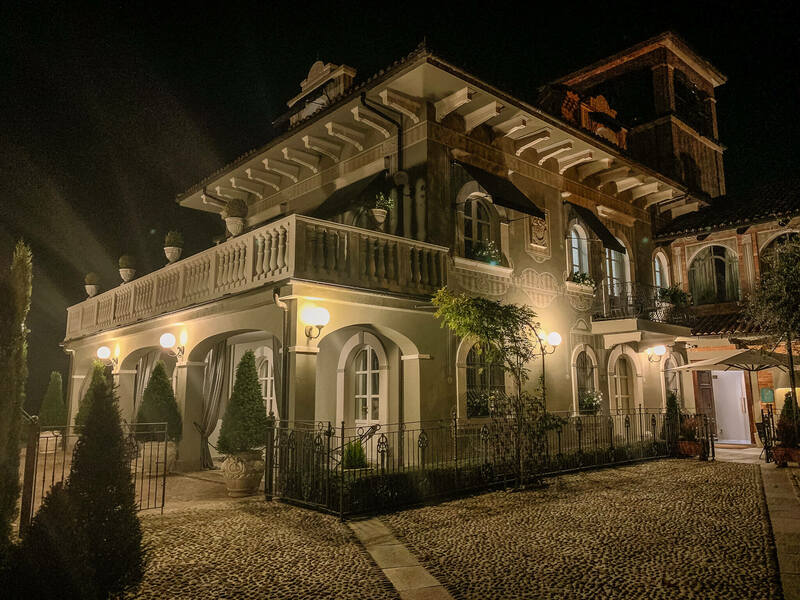 Villa Beccaris is the top rated hotel in the region and it right in the heart of Monforte. And this is a new hotel that just opened up, across the street from the Beccaris. 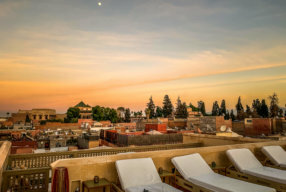 A brand new turn of the century recreation La Ribezza Boutique Hotel has incredible views on a hilltop. Grappolo D’oro also is a hotel in the main piazza of Monforte. Highly recommend staying with those guys, eat their amazing food and watch the wine world go by the center of town. 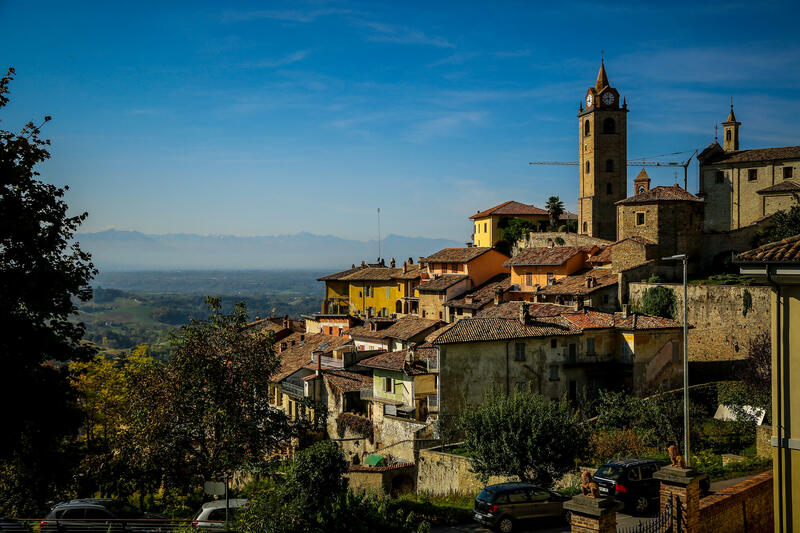 Here’s a great article on Monforte d’Alba from A Taste of Travel blog. 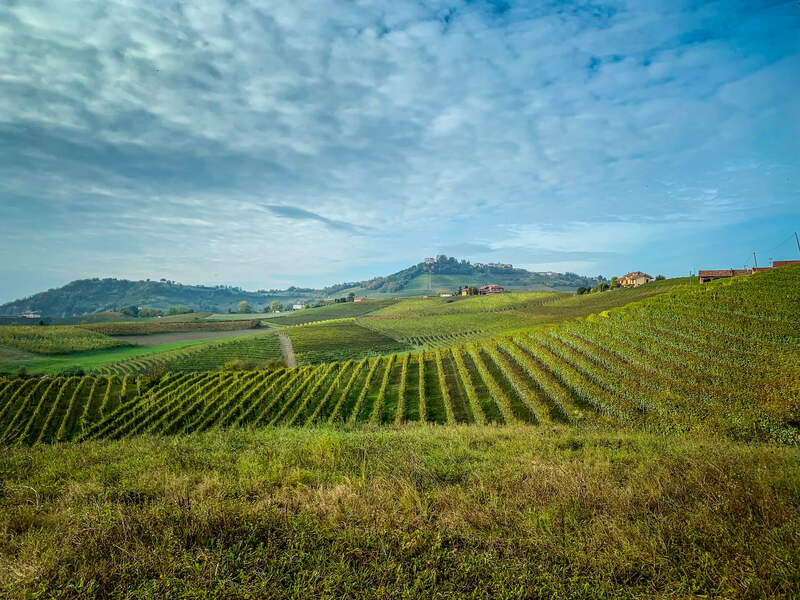 Here’s a very good web resources on Langhe.net. 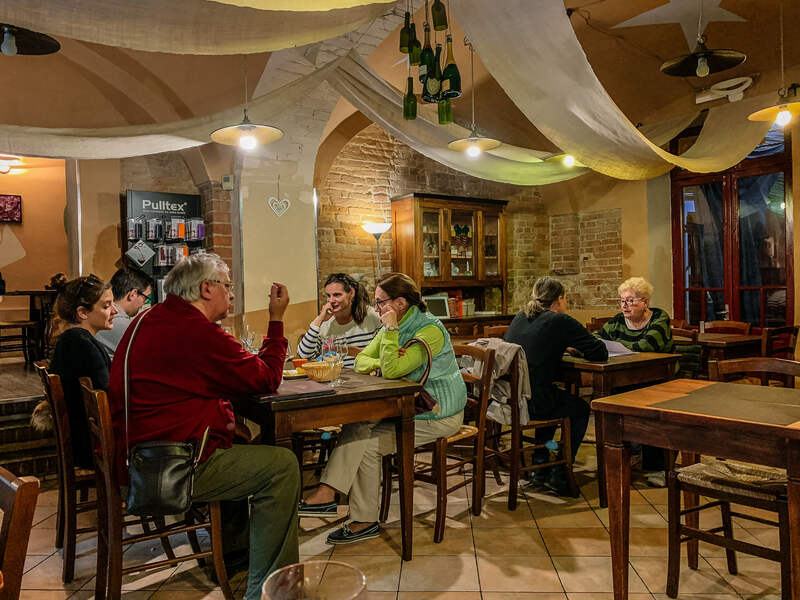 Here’s TripAdvisor’s Monforte Guide. And a good Monforte guide from the great website The Kittchen. 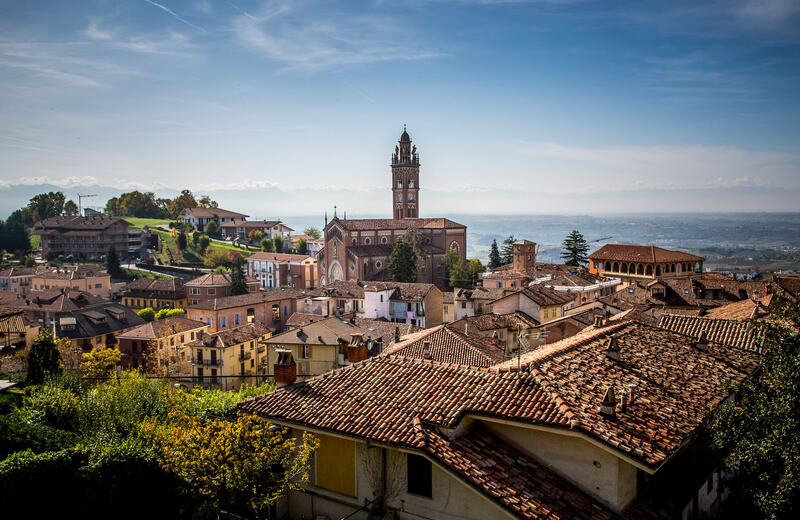 Here’s the official city of Monforte’s webpage (in Italian). Here’s a great article from The Telegraph on a weekend in Monforte. 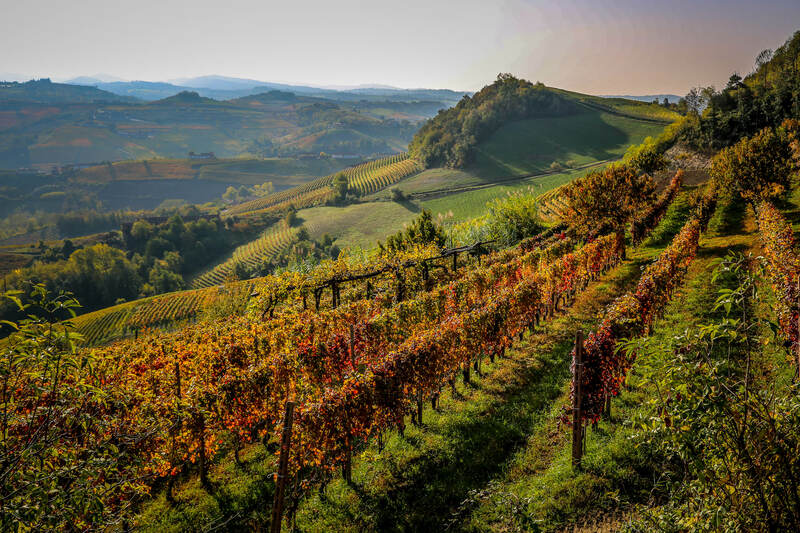 Here’s a list of vineyards from the Monforte tourism website. 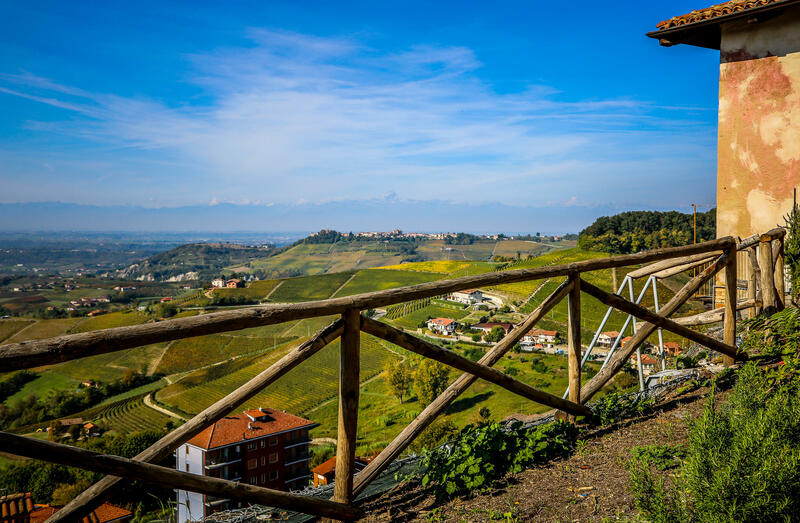 Here’s a great list of the Best Hiking Trails in Monforte d’Alba. That little outdoor theater above has some of the best names in jazz play there every summer. Here’s list of what’s coming up. 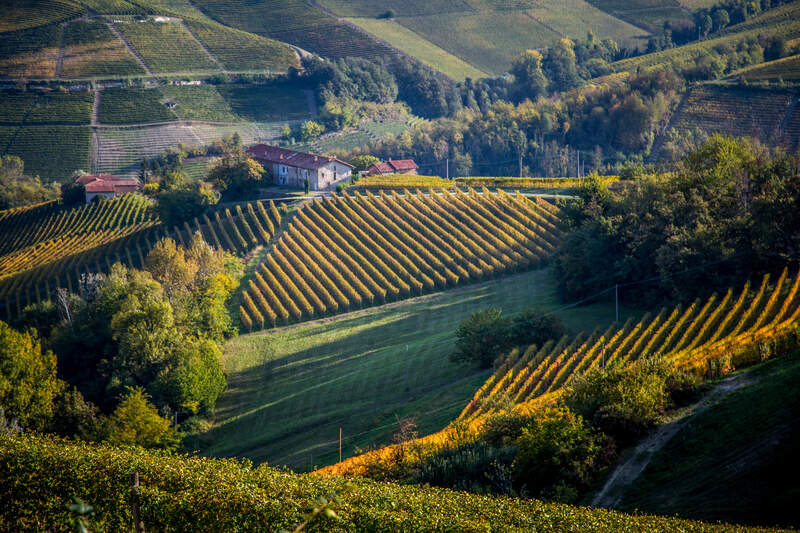 Here’s a great article in Forbes about the Langhe region of Barolo. 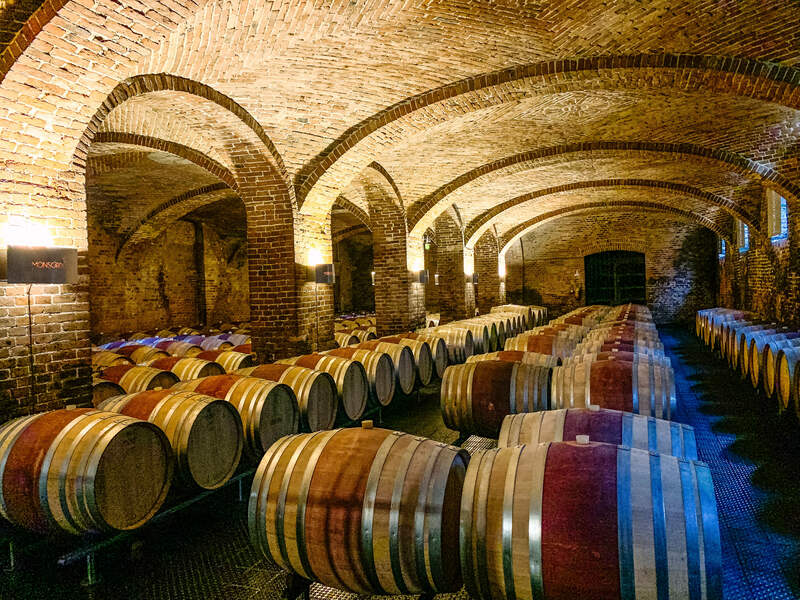 And another good Forbes article on Nebbiolo grape. 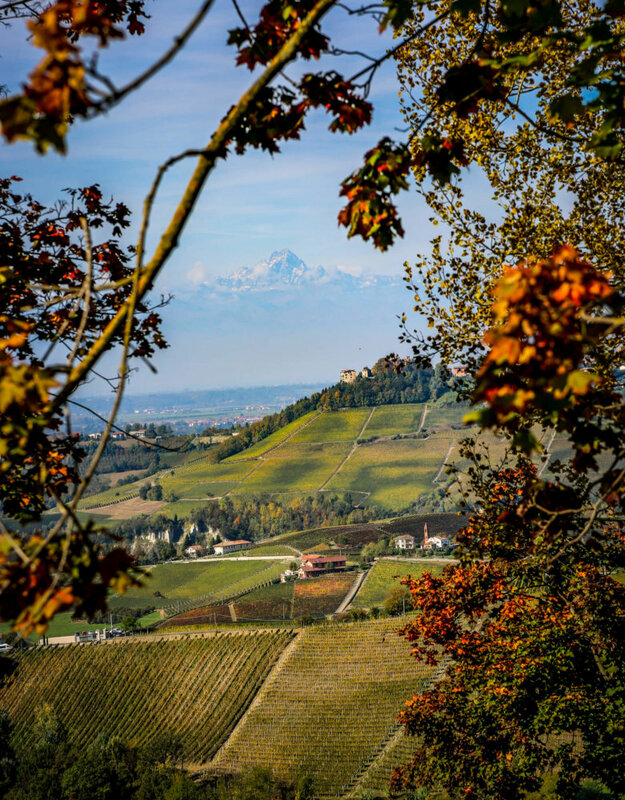 An article on the Internationl White Truffle Fair. Here’s a link to my other post on harvesting grapes in Barolo. Thanks for the very kind shout out! 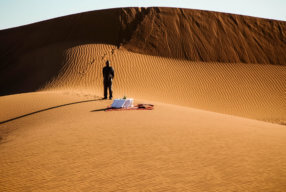 Looks like you had an incredible trip! Thanks Kit! Yes, it was a perfect trip except that it was too short. What a magical trip. 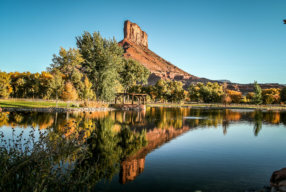 The scenery is breathtaking and the food mouthwatering. What more could you want?! Wow, thanks Cathy! I was so surprised I’d never been to this region. Can’t wait to go back. 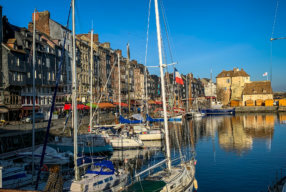 Another great report on another great trip! Thank you! Wow, thanks John! And thanks for reading!